Unlock up to £2520 free! Visit website for full T&C's. 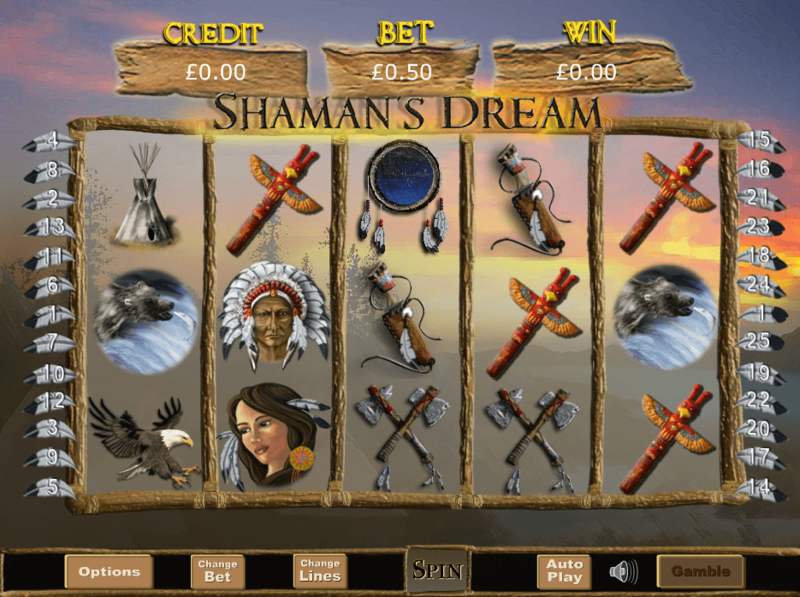 The Shaman’s Dream slot has long held its place as one of the most popular slots on the web. With its Native American Shaman theme, it has the perfect balance of mystical symbols and user friendliness. Eyecon is the team behind the slot. 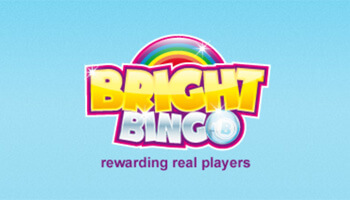 You may recognise them as the developers of other top slots such as Fluffy Favourites and Temple of Isis. Rest assured, you’re in safe hands with Eyecon at the helm. The Shamans Dream slot is perfect place to conjure up some winnings. Where Can I Play Shaman’s Dream? 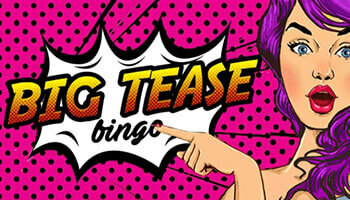 Enjoy Welcome bonus of Big Tease Bingo - deposit £10 - play with £60! Always check out the terms and conditions of any site that you play on. Now that you know where you can play, let’s move on to our Shaman’s Dream slot review. As we mentioned above, the game is based on the ancient practice of Shamanism. The shaman’s dream slot machine incorporates many motifs from Native American culture, where the practice is thought to have originated. You’ll find a host of different symbols on the reels, the most valuable of these are the Shaman and his young apprentice. Each has the capacity to multiply your line stake by 950 whenever you land 5 on an enabled pay line.  The game has a standard reel format of 5 reels and 3 rows. It has 15 variable paylines, which payout from left to right. The strategy that you use in this game depends on how bold you want to be. If you’re opting for a high-risk strategy for maximum return then we suggest that you bet as high a line stake as possible, even if it means that you bet fewer lines. For a more risk-averse strategy, spread your budget across as many of the paylines as you can. This will likely mean that your bet per line is less, however, you’re more likely to land a winning combination as more paylines are covered. Every good slot game can benefit from a bonus round and Shaman’s Dream is no exception. The game has included a free spins round, which you can access by landing 3 of the dreamcatcher scatter. 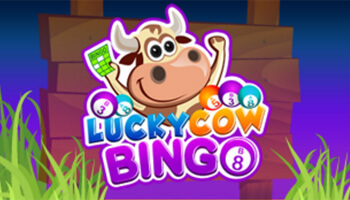 You’ll be given 15 free spins. As an added bonus, all wins are tripled during this round. If a wild symbol completes the combination then the already tripled win will be doubled. The Shaman’s Dream slot is a simple game with the capacity to award big wins. Although not the most graphically sophisticated game that we’ve come across, it delivers on the most important factors. 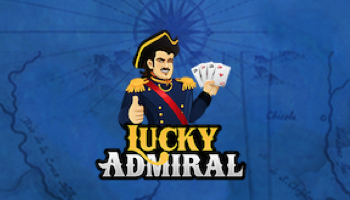 It’s also a great option for players new to slot games thanks to its user-friendliness.